Here is a fun DIY project to make a cute hedgehog of coffee beans. Do you know that coffee beans are great deodorant for the home? 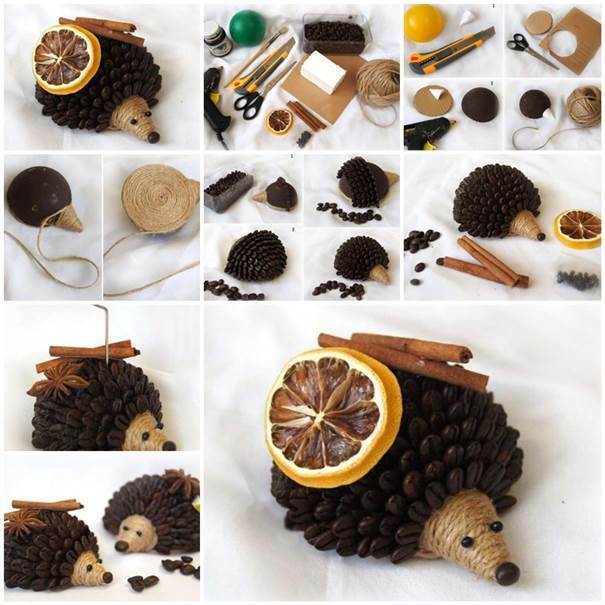 With other natural flavors such as dried lemon and cinnamon, this cute little coffee bean hedgehog is not only an attractive home decor, but also helps you add a fresh fragrance to your home in the early days of the new year. Enjoy! 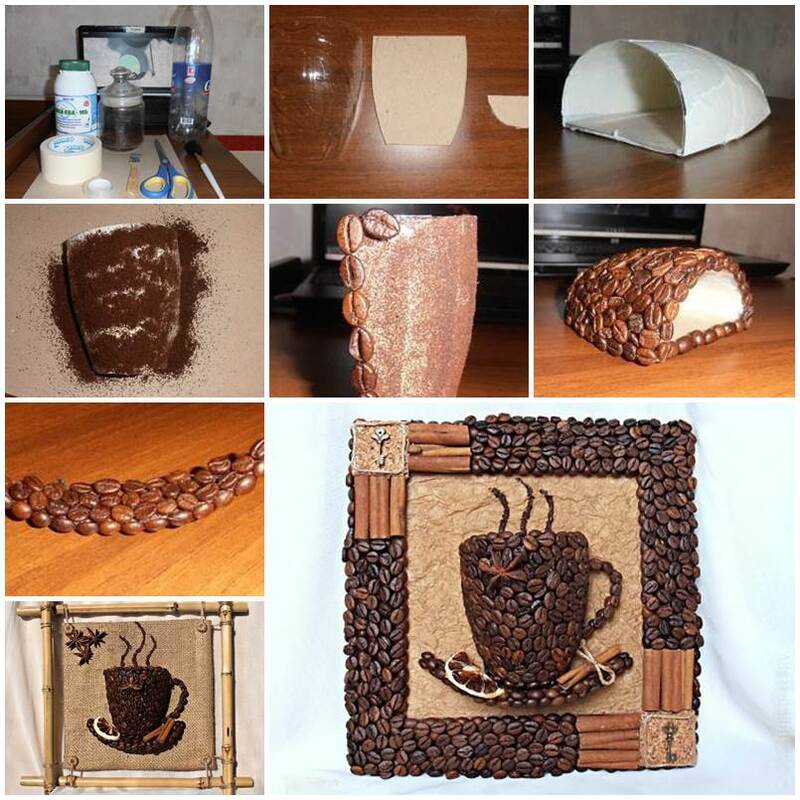 You may also like this 3D Coffee Cup Picture Decor with Coffee Beans.